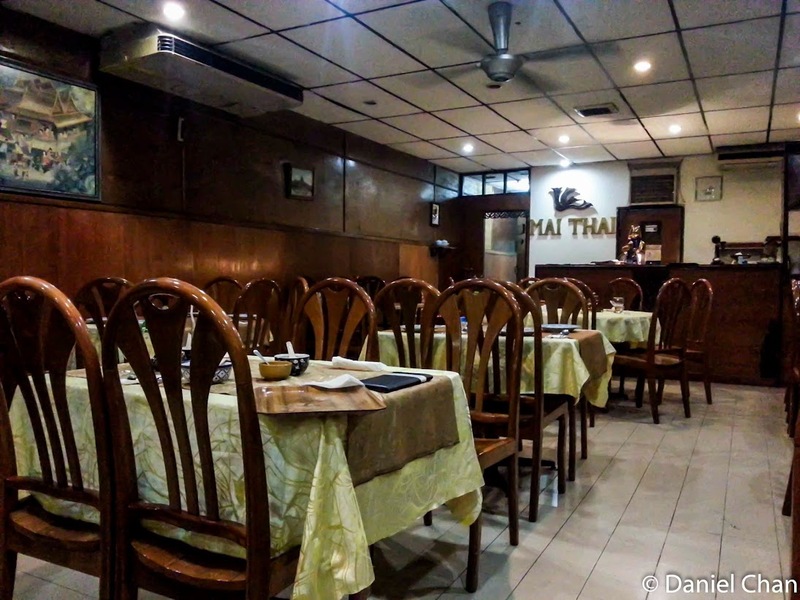 Craving for Thai food? The usual place for Thai food at Jln Gasing was packed full. 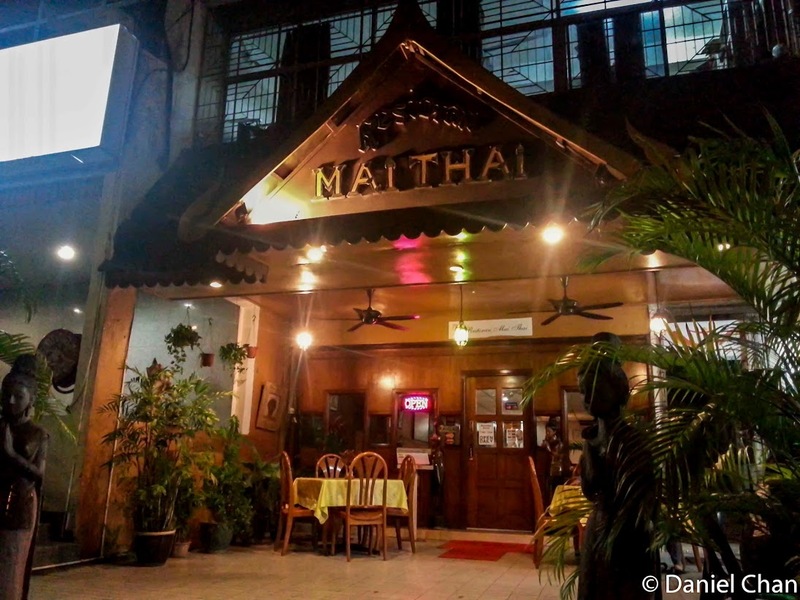 A quick Google saw a Thai restaurant in Taman Desa. It was time to be adventurous. 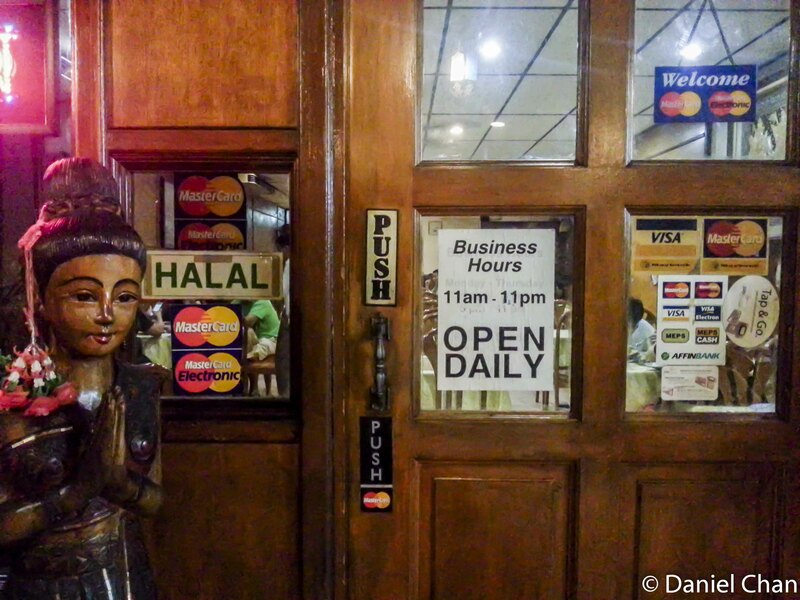 If you head to Taman Desa, you will most likely know the business square. You should also know the Public Bank and TM Point corner. 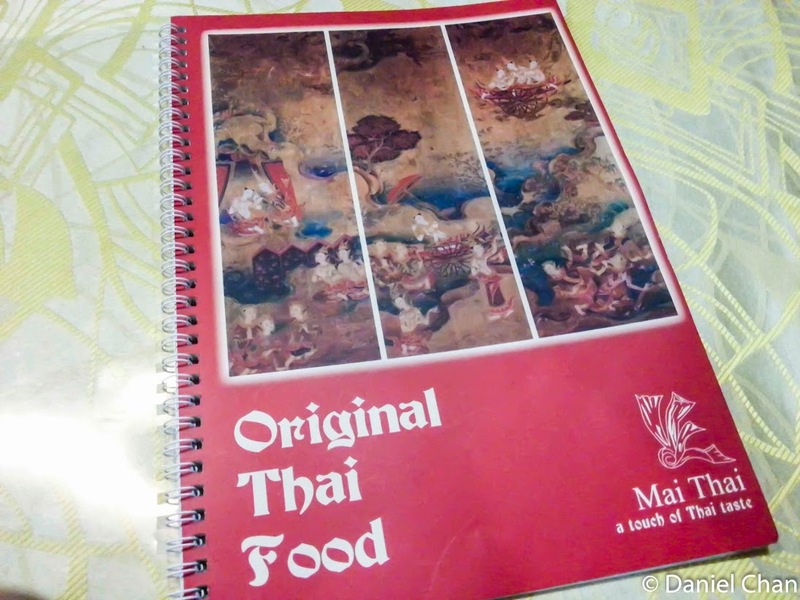 This is where Mai Thai is located. It feels like a very old establishment but do not let the old feel fool you. The old furniture and 80’s feel adds character to the food served here. This place is probably catering more for the lunch group. It was dinner time and the place was quite empty. As we took our seats, it was decision time as to what to try. 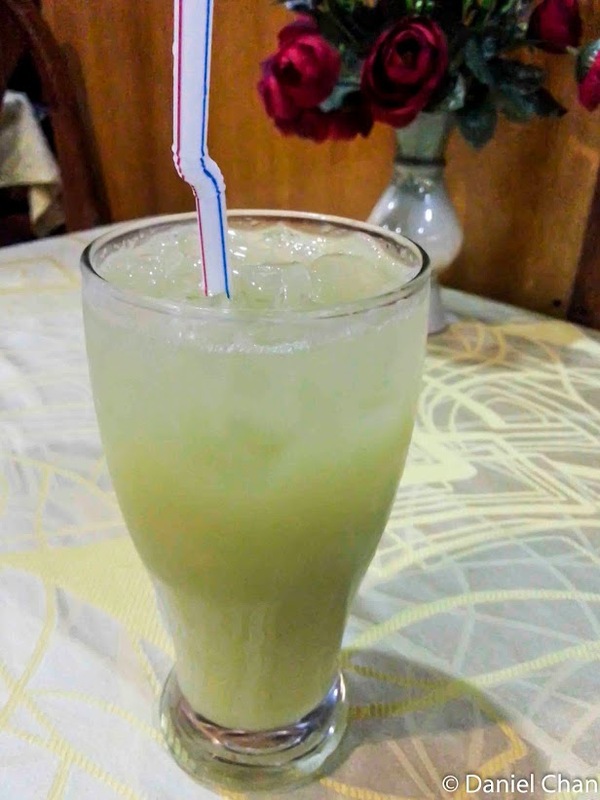 First time places usually required the testing of the staple foods such as Tom Yam. It was a rainy Sunday evening and Taman Desa is quite quiet for weekends. The plus side is we had the whole place to ourselves mostly. There were some patrons outside and behind me. I need to bring my Thai friends to evaluate this statement. I do feel that most of the foods in Malaysia are infused with a local touch. 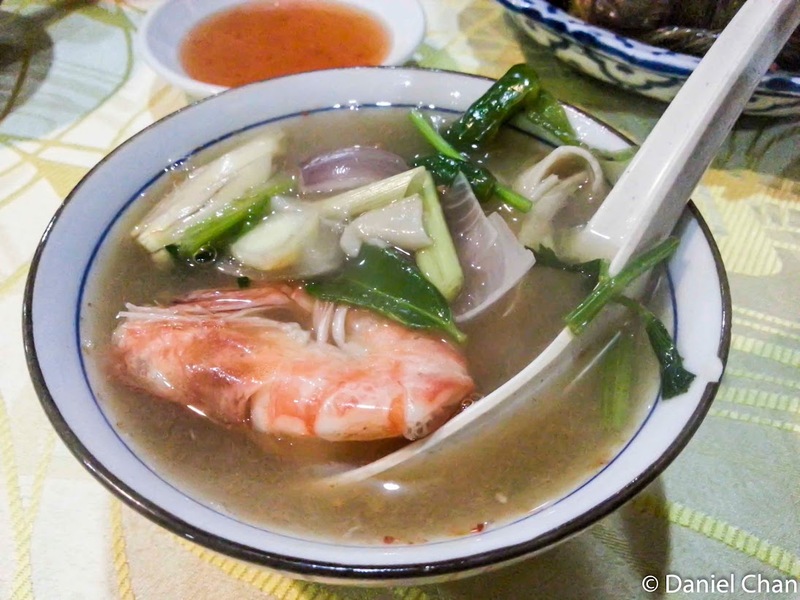 Tom yum kung is the star of the meal. 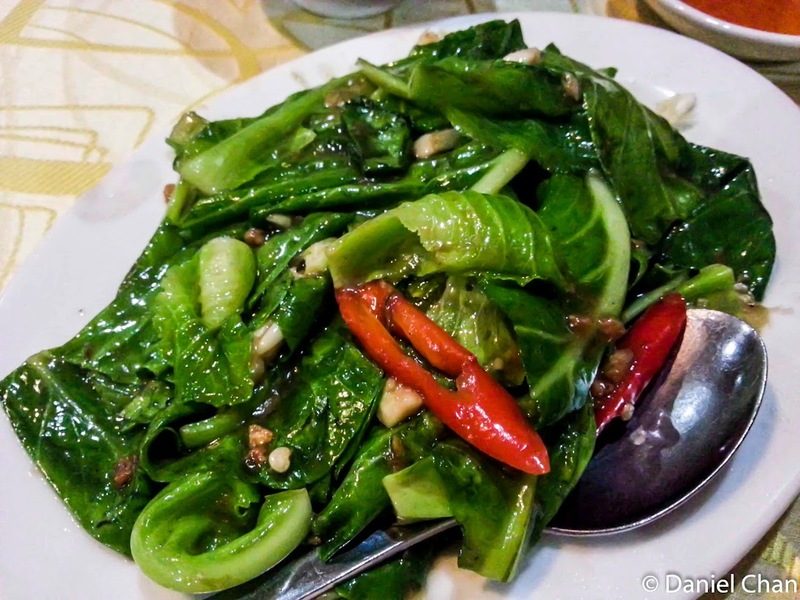 It is probably the most identifiable dish on a Thai meal. I would say that it is excellent but can do with a bit more sourness and a spicier. This dish is served on a hot bowl and the waiter will pour it out into a bowl for you. 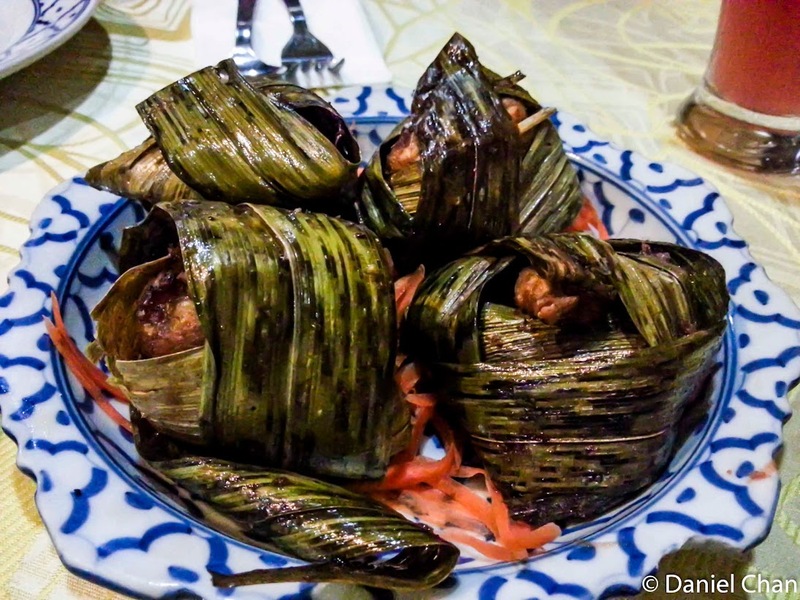 The pandan wrapped chicken is moist and tasty. Unlike many I have eaten, you will not find this tough, dry and tasteless. It is quite the opposite. 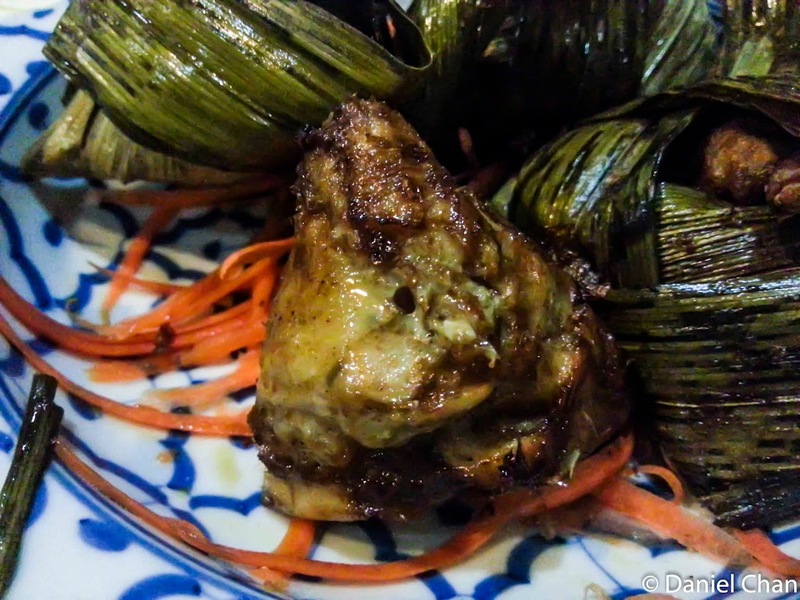 Probably one of the better Pandan Wrapped Chicken I have eaten. This dish got me hooked. The kai lan was awesome. I was saying the word so often as I ate. 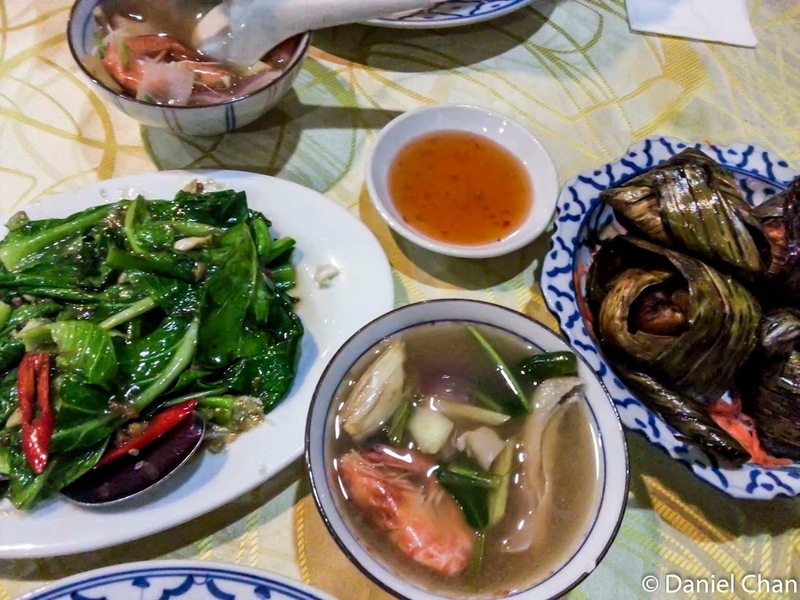 The garlic and salted fish was so well mixed. You can eat an entire dish alone with rice. It is Awesome! It has me dreaming of coming back here just for this kai lan dish. 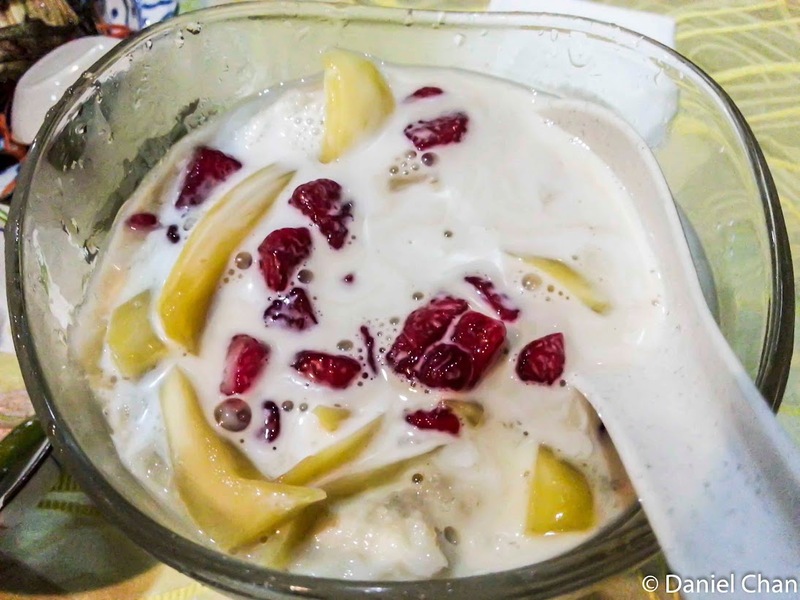 This dessert consisted of coconut milk, jackfruit slices, red colored water chestnuts and lots of ice. I had space for dessert and ordered this. Not too bad for my standards. Overall, this was a very enjoyable meal. The price is very reasonable and came to around RM40. I will return for more. Full menu is available here. 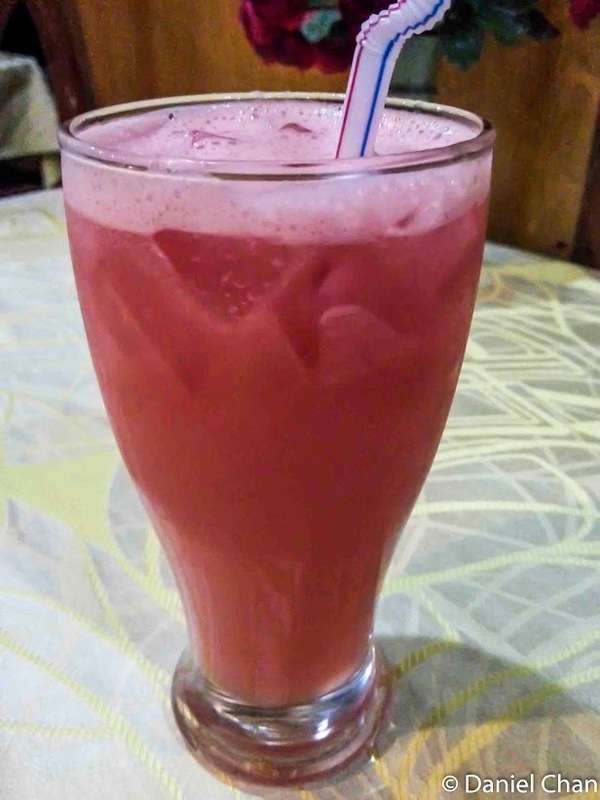 **photos taken using Samsung SGS 3.